Vibrant StreetPower Exhaust Systems - Dezod Motorsports Inc - Home of the automotive performance enthusiast since 2002. 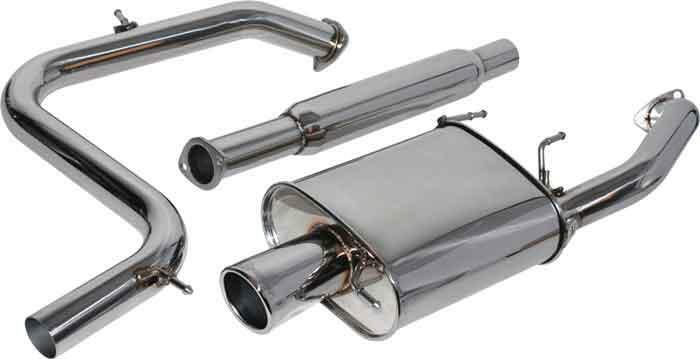 Vibrant STREETPOWER Cat-Back Exhaust Systems are styled for the street and engineered to perform! Full TIG Welds for optimum strength. Just recently installed this piece of art on my Euro Accord. Workmanship is really good, the Welds are beautiful. The exhaust sound, coupled with a DC Sports Header and AEM SRI is amazing!!! Not too loud, with a fairly deep growl. My car reacts much better to pedal play. Seems to have loosened up some HP and TQ throughout the rpm band.